Breast Cancer Screening: Making Sense of Complex and Evolving Evidence covers broad aspects of breast cancer screening specifically focusing on current evidence, emerging evidence, and issues that will be critical for future breast screening practice such as tailored screening and shared decision-making in breast screening. The scope of the book is relevant to a global audience. 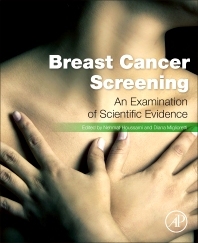 This book provides balanced perspectives on this increasingly controversial topic, using scientific evidence to explain the evolution of knowledge relating to breast cancer screening. Breast Cancer Screening covers the key points related to this debate including the context of increasingly complex and conflicting evidence, divergent opinions on the benefits and harms of breast screening, and variability in screening practice and outcomes across settings around the world. 16. Treatment of screen-detected breast cancer: can we avoid or minimize over-treatment? Dr. Nehmat Houssami is a medical graduate with specialization in Public Health Medicine, and holds an MPH and a PhD (Clinical Epidemiology). She is also a breast physician and clinical researcher who has focused her career on breast cancer, specifically in the screening and diagnosis setting, for the past 22 years. Her expertise includes population screening, breast diagnostic and prognostic testing, cancer staging, and the effect of tests on patients’ treatment and clinical outcomes. Dr. Houssami has expertise in systematic evidence reviews and evidence synthesis, and in evaluating new breast screening technologies in the clinical field. Her scholarly work integrates clinical with public health medicine and aims to support evidence-based practice in breast screening and healthcare. She currently leads the breast cancer research portfolio in the Screening & Test Evaluation Program (Sydney Medical School) and the majority of her research is based on leading international collaborations including prospective studies and IPD meta-analyses. Her research portfolio has achieved international recognition. 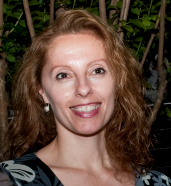 Dr. Houssami is a clinical consultant at the Royal Hospital for Women, Sydney; she is also Co-Editor of The Breast (an Elsevier journal). Diana L. Miglioretti, PhD, is the Dean’s Professor of Biostatistics at University of California Davis and a Senior Investigator at Group Health Research Institute. She received her Ph.D. from the Department of Biostatistics at Johns Hopkins University in 2000. Dr. Miglioretti’s primary research is in the evaluation of breast cancer screening and breast cancer risk prediction modeling. Dr. Miglioretti has been the principal investigator of the Statistical Coordinating Center for the National Cancer Institute (NCI) funded Breast Cancer Surveillance Consortium (BCSC) since 2005. The BCSC is a collaboration of eight breast imaging registries in the United States. She is currently the contact principal investigator and Biostatistics and Data Management Core Director of the BCSC’s multi-site Program Project titled “Risk-Based Breast Cancer Screening in Community Settings". She is faculty member for the Radiologic Society of North America’s clinical trials methodology workshop.